Crowding is when there is insufficient room for the teeth to properly align. Overlapping of teeth occur, and can be corrected with braces, an expander or with tooth removal. Spacing between teeth may be a result of genetically small teeth, missing teeth, or a dental habit. 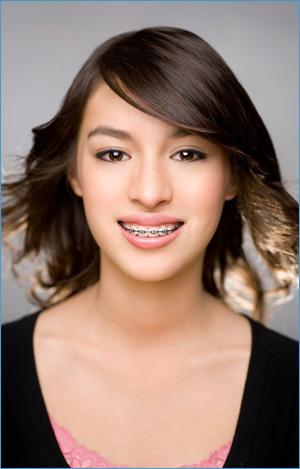 Braces can typically resolve spacing issues. The patient can be referred if need to a cosmetic dentist to replace the missing tooth or build up the genetically small tooth. Openbite is when the upper and lower teeth do not overlap. This issue can be due to a dental habit such as tongue thrust. Crossbite is when the upper teeth are behind the lower teeth giving an “underbite” appearance. This problem could be teeth or jaw related. If jaw growth related surgery may be necessary to align the jaws and teeth. Dental Midlines not being matched is when the center line between the upper teeth does not match the center line of the lower teeth. This could be caused by the bite being off or drifting from a missing tooth. If the midline is 1-3 mm, it may not be a problem that needs to be addressed. However, if the midline is severely not matching braces or extractions could help alleviate the problem. Maintaining the braces can be a lot tougher than getting the braces on. When brackets break off, treatment time can be increased. Therefore, it is critical that your time in treatment is not altered by following a few simple instructions. If you are worried about enjoying food while wearing braces, please have no fear. You are still able to delight yourself with many of your favorites. However, you have to be very careful not to cause damage to your investment in braces. What is acceptable to eat? Outstanding News! You can remain on the sports team while wearing braces. However, you must take special precaution while playing contact sports (basketball, football, baseball, etc.) In order to protect your teeth and braces, we recommend that you wear an orthodontic mouth guard. Please do not use a boil and bite mouth guard, but one specific for orthodontics. Following these simple instructions on mouth guard wear and foods to eat will help you prevent cut lips/cheeks, bent wire, and broken brackets. 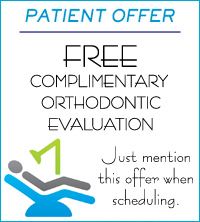 We want to you to have a pleasant experience while wearing braces. Adults can benefit from braces too! Orthodontic treatment is not just for children and teens. It can be successful in adults as well. In fact, about one in every five orthodontic patients today is over the age of 18 according to the American Association of Orthodontist. This is all made possible by smaller, less visible, more comfortable orthodontic appliances, including fixed braces and removable appliances, adults are really seeking the benefits of orthodontic care.